About > Consortium > Instituto Tecnologico de Canarias, S.A. The Research and Technological Development Division of the Canary Islands Institute of Technology (ITC) constitutes one of the two working group of the ITC, which is a public company owned by the Canary Islands Government (Spain). The main objective of the R&D Division, which has a staff of more of 60 people (industrial, aeronautical and telecommunication engineers, physicists), is to foster the industrial and sustainable development of the Canaries and the countries around it (Africa and Macaronesia area) in the field of renewable energies, water technologies, bioengineering, software and medical engineering. Besides technical services, the Division currently carries out R+D activities in the fields of (i) water management and energy efficiency, (ii) innovation and sustainable development, (iii) instrumentation, (iv) software, control and metrology, (v) calibration solar radiation and solar thermal systems, (vi) wind energy exploitation, (vii) development and integration of systems, (viii) water treatment technologies, (ix) stand-alone systems (incl. technology transfer to developing countries). Energy and Water Departments have implemented significant work on the renewable energy sources (RES) and small desalination units coupling, to prove their technical matching, improve and optimize their operation and reliability, and to promote the technology in remote and off-grid areas. They have accumulated more than 18 years of experience in the development of solutions for the ENERGY and WATER supply to urban, peri-urban/rural/remote areas and for industrial purposes. ITC has participated in several EU projects such as PRODES, SODAMEE, DESSOL, SDAWES, ADIRA, CLIMATIQUE, STORIES, etc related to these topics. Besides that, ITC manages the ‘Atlante’ Supercomputer with which the Scientific & Technological Computing Department can develop projects that require handling big datasets, like meteorological data (Numerical Weather Prediction models (MM5 and WRF)). 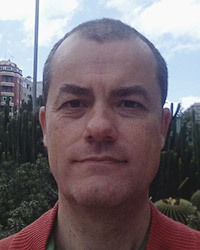 Baltasar Peñate Suárez studied Chemical Engineer at Universidad de Las Palmas de Gran Canaria- Spain and holds a PhD in Engineering (Universidad de Seville- Spain). 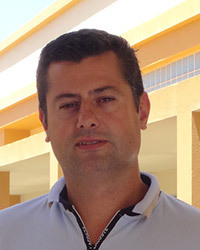 Since 2000 works in the Technological Institute of the Canary Islands – ITC where he is the Head of the Water Department from 2003. He has more than sixteen years of experience with more than 50 R&D projects and services participation has led national and international projects related to desalination and water treatment technologies, specifically driven by renewables energies. He has (co) authored over 20 publications, 6 books contributions in which Water and Energy nexus under technological aspects becomes strategic. Co-author of the PV-RO patent DESSOL® and the CONTEDES© utility model. He is active in the European Desalination Society (EDS) and the European Action Group of Renewable Energy Desalination. Juan Antonio de la Fuente Bencomo studied Chemical Engineer and Marine Sciences Degree at Universidad de Las Palmas de Gran Canaria- Spain and holds a Master’s degree in occupational risk prevention. Since 2007 works in the Canary Islands Institute of Technology (ITC) where he is researcher in the Water Department, working on desalination projects dedicated to the evaluation of different desalination systems powered by renewable energy sources (mainly solar photovoltaic and wind energy); as well as testing of different energy recovery systems for small production capacity SWRO desalination plants. Experience in the commissioning, starting – up and operation of a large capacity desalination plant in the SE of Spain. Teacher of introductory courses on renewable energies powered desalination. He has (co) authored four papers on the topics “Desalination by renewable energy” and “Energy recovery devices for RO desalination” (Desalination, D&WT). He is active in the European Desalination Society (EDS) and the European Action Group of Renewable Energy Desalination. 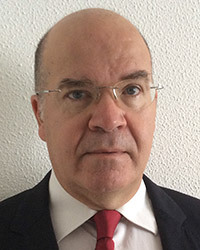 Rafael J. Nebot Medina: Background in Computer Science, Intelligent Systems and its applications for engineering and science. Member of ITC, with previous participation in projects related to Renewable Energies mainly in atmospheric resource (wind and sun) evaluation and energy forecasting, and in modeling, simulation and optimization of renewable energies systems (El Hierro system, Singular -FP7-, Tilos -H2020-). Interests in software engineering, scientific/technical data processing chains, integration of numerical models and machine learning, with applications to energy, water and bioinformatics. Aerospace Engineering, MBA, Master Industrial Organization. Head of the Renewable Energy Department, of the Canary Islands Institute of Technology (ITC), with a staff of 20 engineers working on solutions for maximizing RES penetration in small island electrical systems, and transferring of clean energy technologies to less developed Western African countries. Development of stand-alone off-grid RES solutions for hydrogen production, and cooling/heat. 20 years of working experience participating and coordinating EC financed projects related to renewable energies and complementary technology. Participation on different tasks groups advising the Canary Island Government on its regional energy planning, and policies for the promotion of renewable energies. Marco Galluzzi is a Software Engineer joining the Canary Islands Institute of Technology (ITC) in 2018. He has been previously working more than 10 years for the Software Consulting & Development sector. 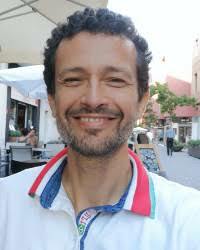 He has a University Degree in Computer Science from Universidad de Las Palmas de Gran Canaria (ULPGC) where he is currently studying a PhD in Machine Learning. 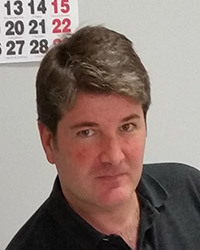 He also has research experience in Computer Architecture studying a PhD at the Universitat Politècnica de Catalunya (UPC) where he has already collaborated in an European funded project: HiPEAC. He is also interested in teaching, having been University Teacher during 3 years at the ULPGC. 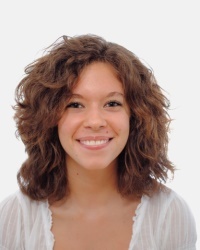 Ana Musicki Savic is an Environmental Science for Sustainable Energy and Technology student at the Avans University of Applied Science in Breda, the Netherlands. She is currently doing an internship in the Instituto Tecnológico de Canarias to collaborate in the review and case studies proposals related to the Water, Energy & Food (WEF) Nexus in the Canary Islands.The way she perceives life is mostly holistic, just as her studies. She is still at the beginning of her “journey” but her intention is to continue being actively involved in these kind of projects now and in the future. She wants to take actions instead of only “use words” (“res, non verba”). Traveling is her passion, to become richer in culture as well as a human being.